As a restaurant owner, you’ve decided that it’s time to get with the technology trends, and you want to implement online ordering in your restaurant. It’s a smart move to bring in more revenue, but it means that you’ll have to make a decision among the different services available to use. There are a few things that you need to keep in mind when going through the process of picking your service. Once you go over these, you’ll be able to narrow down your choices in finding the right one for you. Pickups and delivery are two vital portions of many restaurant’s business. Some people enjoy being able to stop on their way home to pick up their food, so that way as soon as they get home, they can dig in and start eating. Others prefer being able to sit at home and have the order delivered right to them thanks to the convenience of having someone else do the driving offers. You want to make sure that the service that you pick enables you to use either of these options for your customers and their online orders. Often, you’re considering the ease of use when it comes to your customers, but you also have to factor in the setup and installation on your end. You want to find a service that will make it easy for you to get your system setup and installed. You want to be able to input your menu and pictures quickly and easily. You also want to make sure that once you’ve gotten your menu uploaded that it looks how you imagined. Your menu and pictures look crisp and enticing. People eat with their eyes and having your menu look less than perfect can be detrimental to your site. This also ties into setup, as you’ll want to be able to tweak your images and menu easily. If it takes a long time to update this information, you may find that your menu gets outdated rather easily because you’re not going to want to fuss with a complicated system that makes it impossible to change things up. This will do a disservice to your customers and to the time and energy you’ve spent in offering online ordering. 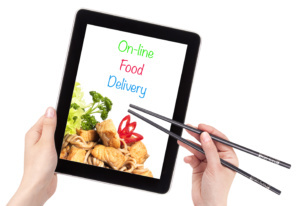 Online ordering can’t live in a bubble and be prosperous. You must market your online ordering system after it’s in place to get customers, new and old, using it. Marketing automation is another nice feature to have as it makes it easier for you to incorporate marketing into your everyday activities. As previously mentioned, you’ll want a user interface that is easy to understand and use for your customers. Many of those who will use your online ordering interface have probably ordered from other services in the past, so are relatively familiar with how most online ordering works. It’s still good to make sure that your ordering process isn’t too complicated or different from most other restaurant’s ordering. Another consideration that you have to keep in mind is whether or not it’s mobile ready. You want a online ordering system that looks excellent and makes for easy ordering no matter how big or small the screen is that the person is using for their order. Many people are placing orders with their smartphones and tablets, and these screens are often much smaller than desktops and laptops. 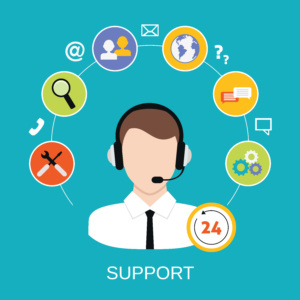 The final aspect you need to consider is the support that’s offered by the service. Will you be able to easily contact them if you have a problem with getting started or an issue down the road? How long does it take for you to get into contact with support? Does the support offered for the service only last for a short time, or is it as long as you use the service? This can make or break an online ordering system as you never know when an issue may arise with your system. Coupon codes may not work right, the website could go down, and many other problems could come up. Their customer support makes a big difference in how long it takes to fix these errors. It can sometimes be hard to narrow down all of the components that you want to use for your online ordering service and restaurant management. Making a list of all of your needs and wants for your service can help to make it easier for you to decide. It can be a daunting decision to make but is necessary to get started in revolutionizing how your restaurant business functions. Orders2.me is here to help with getting you set up with online ordering. We’d love to talk with you about how our service can make a big difference in how your restaurant brings in revenue. Contact us today to learn more.